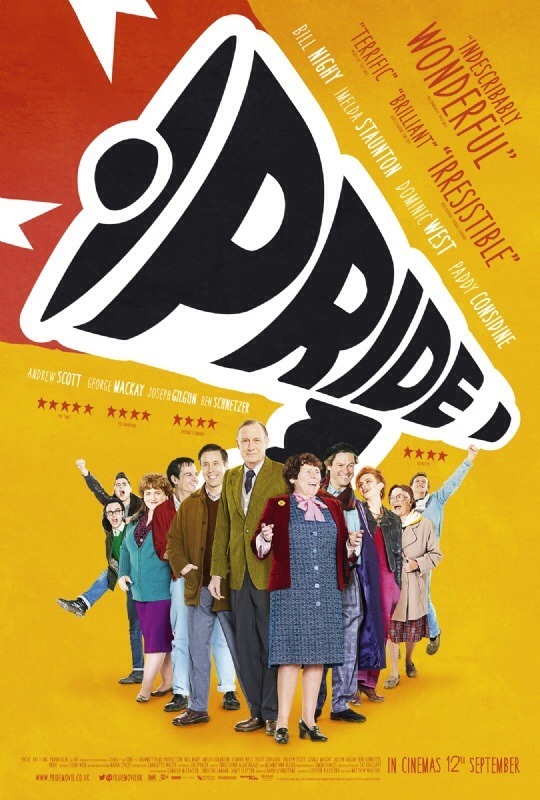 Matthew Warchus directs Imelda Staunton, Bill Nighy, Andrew Scott, Dominic Cooper amongst others in Pride. 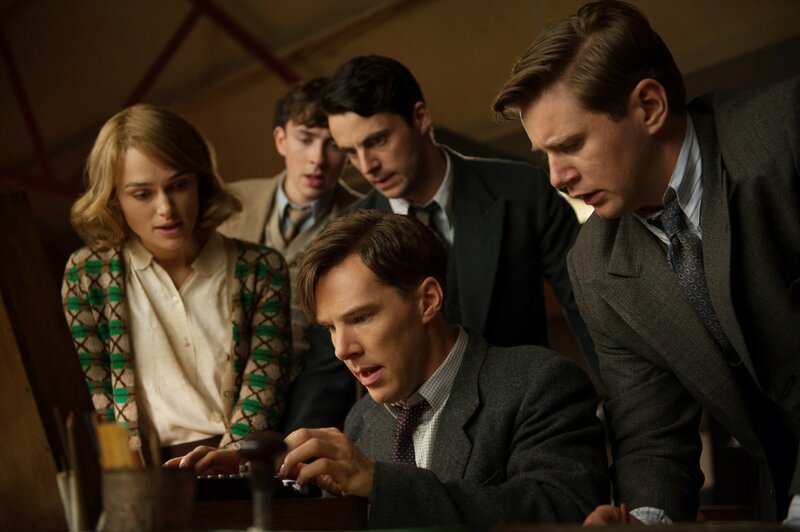 With a playbill that is packed to the rafters with character actors from various british TV shows the fact that this movie was going to be brilliantly acted was a given. 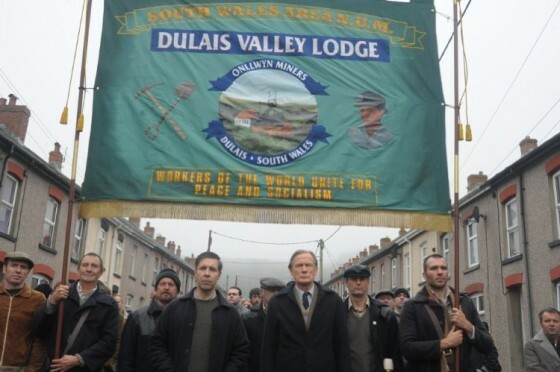 But in this based on real events story about the coming together of the Gay Rights movement and the Union strike, Warchus and writer Stephen Beresford have created a beautifully crafted drama with a healthy dose of humor. The story starts with the charismatic Mark played by Ben Schnetzer drumming up support amongst his gay friends to start collecting funds for the striking miners. While arguments can be made in favor or against the legitimacy of the strike the movie chooses to present the issues from the point of view of the miners alone. After collecting the money and trying to get any mining union to accept their support the LGBT group happens to reach out to a welsh mining community who through misunderstanding over the phone agree to send a representative to meet with the LGSM ( Lesbians and Gays Support the Miners) in London. And what follows hence is a heart-warming tale of two victimized fractions of the society coming together and learning to accept one another albeit grudgingly. For 2/4th of the movie the screenplay is tight and the story progresses along briskly with the entire ensemble chipping in with memorable performances. The Acapella singing of the song in the union hall in Dulais, Wales is particularly stirring. Of the acting chops Andrew Scott impressed me the most. After his chilling turn as Moriarty on TV’s Sherlock here he plays out his role as Gethin with such vulnerability that it is fascinating to bear witness to his range as an actor. Imelda Staunton is also brilliant but then that statement is redundant as she almost always is. Jessica Gunning as Sian James plays the firebrand to perfection as she goes from being the shy volunteer to essentially the firepower behind the coalition of the Miners and the LGSM groups. Another standout is Paddy Considine as the Mining union’s spokesperson Dai. From the first speech he delivers at the Gay club where he is just barely getting to grips with public speaking to the final speech he delivers at the Pits and Perverts concert at the electric ballroom in Camden shows the journey his character has gone through. It is in the 3/4th of the movie where it loses steam and the pace begins to drag as the director chooses to bring various other stories to fruition, that of a closet gay being outed by his sister, Gethin being attacked. What rankles the most is the change in attitude of Mark and it throws the audience off for a loop. It takes considerable effort but the director manages to provide for a satisfactory climax. I also am disappointed in the director’s handling of the AIDS crisis and how insensitively it is used to further a plot point. What is most amazing is the journey of discovery that the characters go on as the two groups cross path. The village granny is all inquisitive about the lesbian-lifestyle with their vegetarian/vegan diets, the hot headed miner is the first one to soften up to the LGSM and wants to take dance lessons so that he is better able to woo the barmaid, the pub-crawl through the London gay scene is also delightful as Imelda Staunton ends up giggling like a naughty school girl when she comes upon “treasures” in the LGSM’s accommodations. Also acting as a counterpoint is the hesitation that the two groups feel while supporting the other’s struggle. While Dai is welcomed when he makes the first speech Mark is faced by hostile silence at the union hall. 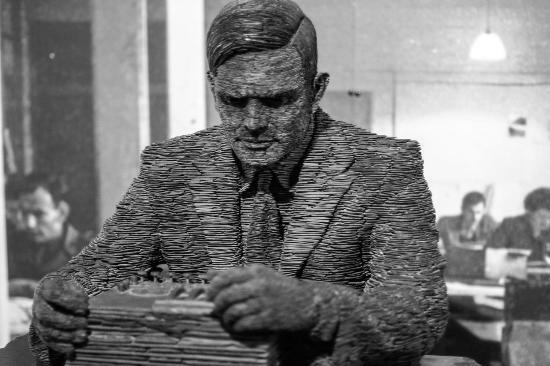 The dissenters in both the groups throw a wrench in the machinery due to their on ill-conceived prejudices. Milk this isn’t but it is a fantastic telling of the struggle for equality both of the miners and that of the LGBT community and the eventual coming together in show of solidarity despite the odds being stacked against them. Do not miss Pride for it manages to strike that fine balance of humor and the humanity of the drama that unfolds.